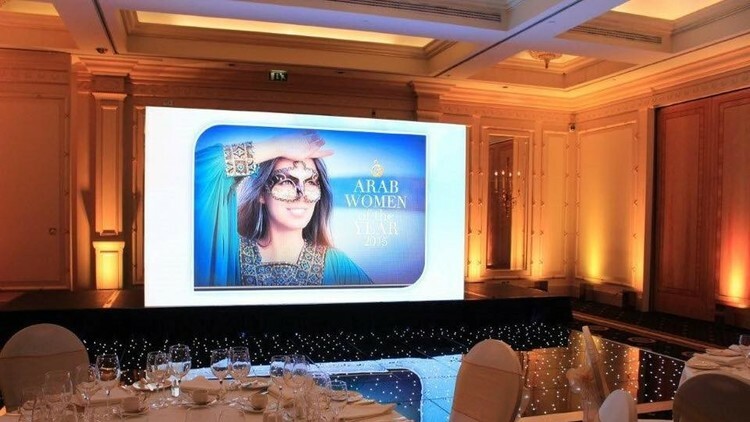 “Arab women of the year awards” annually celebration was held in the heart of London last week supported by the Mayor of London in cooperation with Arab British chamber of commerce, London partner organization and Regent’s university in London. Awards are distributed among Arab women in order to let the world know that the Arabic woman stands out successfully and to shed light on her contribution to Arab women in all fields. The celebration of Arab women awards 2015 represents an international celebration that is significant internationally not to the Arab world only. The awards include the following categories: lifetime achievement award, culture and education award, Business award, Cinema award, Trade and development award, Sports award, Science award, Society award in addition to two awards in Music and Literature and finally an award to a Young TV Female presenter. The TV presenter Yara Aby Rashed aired the celebration on MBC in the presence of the elite ambassadors, journalists , Arab and non-Arab diplomats in additional to a number of women rights defenders nationally and internationally. Sheikha Hassa Sa3ad El Abd Allah El Sabah from Kuwait won The Business Award. The Culture achievement award went to Sheikha Mai Al Khalifa from Bahrain . The Algerian author Ahlam Mesghanmy won the award of achievement in Literature. The Egyptian glamour actress Yousra was honored in the cinema Field. Presenter Ola El Fares from Jordon was chosen as “the distinct young TV presenter”. The Tunisian Habiba Ghoriby won Sports achievement award. Princess Nof bent Faisel Al Saoud from Saudi Arabia, won the society’s achievement award. The award of trade and development went to A’eshsa Fardan from Qatar. As for the Science award, it went to Mariam Shidid from Morocco and she is considered to be the first Arabic woman to work in space and her researches obtained the highest degrees of honors from scientific organizations around the world. The Egyptians Actress Yousra expressed her deep appreciation and happiness and dedicated It the award to Egypt and the Arabic woman everywhere emphasizing on the significance of Egyptian’s women role in the 30th of June protests, while the Lebanese singer Magda El Roomy dedicate her one to every woman in Yemen and Syria who suffers from inhumane treatment.